Expatriation from the United States has become increasingly common in recent years. According to statistics, over 3,400 citizens expatriated in 2014, a staggering 15 times more than in 2008. Hong Kong, a bustling territory off the southern coast of China, is a popular destination. Considered one of the world’s premier centers of finance, Hong Kong is an ideal setting for businesses and entrepreneurs. However, thanks to intergovernmental agreements with the US and a reputation as a top tax haven, Hong Kong and its banking institutions are closely watched by the Internal Revenue Service. Don’t struggle with the complicated tax code on your own – get personalized assistance from a trusted and experienced CPA with more than 30 years of experience handling international tax matters. To set up your free consultation with CPA Ted Kleinman, call US Tax Help at (541) 923-0903 today. Do Expats Have to File a Tax Return in Hong Kong? What About Social Security Taxes? 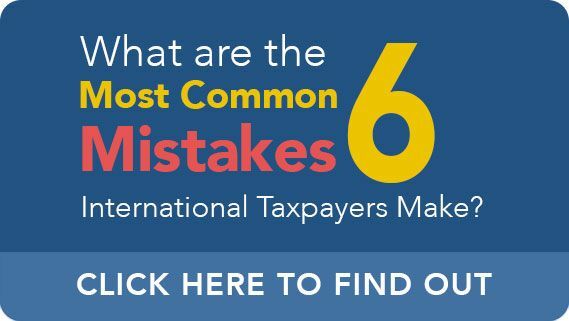 US citizens abroad required to file a yearly tax return with the IRS. However, recognizing that living abroad can cause long processing and shipping delays, the IRS allows several extensions of the normal April 15 deadline. Members of the US military who were on duty, outside the US, on April 15. Expatriates in Hong Kong should also be aware of differences between Hong Kong and the US in terms of timetables for reporting. Hong Kong taxes are reported April to March, while US taxes run January to December. This discrepancy only emphasizes the importance of maintaining detailed financial records with accurate dates. US persons abroad are also subject to Social Security tax, otherwise known as FICA tax, named for the Federal Insurance Contributions Act. 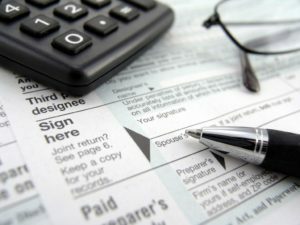 Taxpayers avoid double-taxation through the provisions of totalization agreements, also known as US international Social Security agreements. However, as of this date, the US has not yet entered into totalization agreements with Hong Kong or China. Ted Kleinman will help you understand your Social Security tax liability as a resident of Hong Kong. In an effort to combat tax evasion, in 2010 the federal government passed a law known as FATCA, or the Foreign Account Tax Compliance Act. FBAR (Report of Foreign Bank and Financial Accounts), which is often associated with FATCA, was also designed to encourage taxpayers to disclose offshore bank accounts held with foreign financial institutions (FFIs). Unfortunately, FATCA and FBAR have also had negative effects on expats in Hong Kong, and indeed around the world. 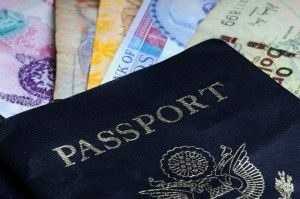 It is not unheard of for the IRS to investigate expatriates who use their foreign accounts for ordinary, day-to-day expenses. All individuals who hold accounts with FFIs, especially in known tax havens like Hong Kong, should familiarize themselves with the IRS’ FBAR filing requirements. Do you have financial interest in, or signature authority over, any financial accounts in Hong Kong or elsewhere outside the US? Was the value of the account greater than $10,000 at any time, no matter how briefly? If you answered yes, you are required to file an FBAR. If you are married, it may be possible for you and your spouse to file an FBAR jointly, though in some cases separate submissions are required. A skilled CPA will help you understand how you and your spouse are affected by FBAR, FATCA, and related reporting requirements and tax laws. Note that FBAR is separate from and should not be confused with Form 8938 (Statement of Specified Foreign Financial Assets). If you’re moving from America to Hong Kong, it is critically important to understand how your status affects your tax liabilities and filing requirements. You may also qualify for certain tax credits and deductions. CPA Ted Kleinman has decades of experience handling complex international tax matters, and is prepared to negotiate with the IRS on your behalf. To talk about your tax questions in a free and private consultation, call US Tax Help at (541) 923-0903.